“”If you pick up any of the four Gospels and read them at random, it will not be long before you learn that such and such an action or saying, attributed to Jesus, was done so that an ancient prophecy should come true. If it should seem odd that an action should be deliberately performed in order that a foretelling be vindicated, that is because it is odd. And it is necessarily odd because, just like the Old Testament, the "New" one is also a work of crude carpentry, hammered together long after its purported events, and full of improvised attempts to make things come out right. There are numerous Biblical prophecies, some vaguely fulfilled, others strangely unfulfilled. Some Christians claim that fulfilled prophecies - if they actually existed - would prove that the Bible is inerrant or even literally true. Creationists conclude it is accurate even on scientific subjects. This article examines various prophecies from the Bible and gives an analysis of whether or not they have been fulfilled. It almost goes without saying that the fulfillment of any prophecy (from your daily horoscopes to those in the Bible) largely depends on how one interprets it. Some prophecies in the Bible, such as the ones about Jesus, seem to be fulfilled only because the Gospels twisted unrelated verses in the Old Testament to convince their various audiences to become Christians (and sometimes even made things up to convince readers, like the fake genealogy numbers of Matthew 1:17). Other prophecies make very vague predictions, and so all kinds of events could occur that would "fulfill" them. Still others were never predicted until after the event took place. And since there's also a large number of unfulfilled prophecies, alleged prophecy-fulfillment does not suffice to compel belief in the inerrancy of the Bible. The Bible's own attitude towards prophecy differs from later takes. This is evident, for example, in the book of Jonah, a fictional parable[note 1] about a reluctant prophet. God has given him a command to travel to the pagan metropolis of Nineveh to preach the city's doom. Given this task, Jonah boards a ship headed in the opposite direction, apparently towards Tarshish - a land which is now either lost to history or fictitious. This leads to the familiar adventure with the giant fish. Eventually Jonah makes it to Nineveh, where the inhabitants receive his message of doom surprisingly well. The people repent, and God changes his mind and spares the city. In the Bible itself, prophecy is a call for moral improvement, not an inexorable doom. It must be accurate. A statement cannot be Biblical foreknowledge if it is not accurate, because knowledge (and thus foreknowledge) excludes inaccurate statements. TLDR: It's true. It must be in the Bible. A statement cannot be Biblical foreknowledge if it is not in the Bible, because Biblical by definition foreknowledge can only come from the Bible itself, rather than modern reinterpretations of the text. TLDR: It's in plain words in the Bible. It must be precise and unambiguous. A statement cannot be Biblical foreknowledge if meaningless philosophical musings or multiple possible ideas could fulfill the foreknowledge, because ambiguity prevents one from knowing whether the foreknowledge was intentional rather than accidental. TLDR: Vague "predictions" don't count. It must be improbable. A statement cannot be Biblical foreknowledge if it reasonably could be the result of a pure guess, because foreknowledge requires a person to actually know something true, while a correct guess doesn't mean that the guesser knows anything. This also excludes contemporary beliefs that happened be true but were believed to be true without solid evidence. TLDR: Lucky guesses don't count. It must have been unknown. A statement cannot be Biblical foreknowledge if it reasonably could be the result of an educated guess based off contemporary knowledge, because foreknowledge requires a person to know a statement when it would have been impossible, outside of supernatural power, for that person to know it. TLDR: Ideas of the time don't count. Son of man, because that Tyrus hath said against Jerusalem, Aha, she is broken that was the gates of the people: she is turned unto me: I shall be replenished, now she is laid waste: Therefore thus saith the Lord GOD; Behold, I am against thee, O Tyrus, and will cause many nations to come up against thee, as the sea causeth his waves to come up. And they shall destroy the walls of Tyrus, and break down her towers: I will also scrape her dust from her, and make her like the top of a rock. It shall be a place for the spreading of nets in the midst of the sea: for I have spoken it, saith the Lord GOD: and it shall become a spoil to the nations. And her daughters which are in the field shall be slain by the sword; and they shall know that I am the LORD. For thus saith the Lord GOD; Behold, I will bring upon Tyrus Nebuchadrezzar king of Babylon, a king of kings, from the north, with horses, and with chariots, and with horsemen, and companies, and much people. He shall slay with the sword thy daughters in the field: and he shall make a fort against thee, and cast a mount against thee, and lift up the buckler against thee. And he shall set engines of war against thy walls, and with his axes he shall break down thy towers. By reason of the abundance of his horses their dust shall cover thee: thy walls shall shake at the noise of the horsemen, and of the wheels, and of the chariots, when he shall enter into thy gates, as men enter into a city wherein is made a breach. With the hoofs of his horses shall he tread down all thy streets: he shall slay thy people by the sword, and thy strong garrisons shall go down to the ground. And they shall make a spoil of thy riches, and make a prey of thy merchandise: and they shall break down thy walls, and destroy thy pleasant houses: and they shall lay thy stones and thy timber and thy dust in the midst of the water. And I will cause the noise of thy songs to cease; and the sound of thy harps shall be no more heard. And I will make thee like the top of a rock: thou shalt be a place to spread nets upon; thou shalt be built no more: for I the LORD have spoken it, saith the Lord GOD. Thus saith the Lord GOD to Tyrus; Shall not the isles shake at the sound of thy fall, when the wounded cry, when the slaughter is made in the midst of thee? Then all the princes of the sea shall come down from their thrones, and lay away their robes, and put off their broidered garments: they shall clothe themselves with trembling; they shall sit upon the ground, and shall tremble at every moment, and be astonished at thee. And they shall take up a lamentation for thee, and say to thee, How art thou destroyed, that wast inhabited of seafaring men, the renowned city, which wast strong in the sea, she and her inhabitants, which cause their terror to be on all that haunt it! Now shall the isles tremble in the day of thy fall; yea, the isles that are in the sea shall be troubled at thy departure. For thus saith the Lord GOD; When I shall make thee a desolate city, like the cities that are not inhabited; when I shall bring up the deep upon thee, and great waters shall cover thee; When I shall bring thee down with them that descend into the pit, with the people of old time, and shall set thee in the low parts of the earth, in places desolate of old, with them that go down to the pit, that thou be not inhabited; and I shall set glory in the land of the living; I will make thee a terror, and thou shalt be no more: though thou be sought for, yet shalt thou never be found again, saith the Lord GOD. However, this never occurred. After a 13-year siege, Tyre compromised with Nebuchadnezzar and accepted his authority without being destroyed. Despite being conquered and razed by Alexander the Great 240 years later, Tyre still exists. In the tenth year, in the tenth month, in the twelfth day of the month, the word of the LORD came unto me, saying, Son of man, set thy face against Pharaoh king of Egypt, and prophesy against him, and against all Egypt: Speak, and say, Thus saith the Lord GOD; Behold, I am against thee, Pharaoh king of Egypt, the great dragon that lieth in the midst of his rivers, which hath said, My river is mine own, and I have made it for myself. But I will put hooks in thy jaws, and I will cause the fish of thy rivers to stick unto thy scales, and I will bring thee up out of the midst of thy rivers, and all the fish of thy rivers shall stick unto thy scales. And I will leave thee thrown into the wilderness, thee and all the fish of thy rivers: thou shalt fall upon the open fields; thou shalt not be brought together, nor gathered: I have given thee for meat to the beasts of the field and to the fowls of the heaven. Therefore thus saith the Lord GOD; Behold, I will bring a sword upon thee, and cut off man and beast out of thee. And the land of Egypt shall be desolate and waste; and they shall know that I am the LORD: because he hath said, The river is mine, and I have made it. Behold, therefore I am against thee, and against thy rivers, and I will make the land of Egypt utterly waste and desolate, from the tower of Syene even unto the border of Ethiopia. No foot of man shall pass through it, nor foot of beast shall pass through it, neither shall it be inhabited forty years. And I will make the land of Egypt desolate in the midst of the countries that are desolate, and her cities among the cities that are laid waste shall be desolate forty years: and I will scatter the Egyptians among the nations, and will disperse them through the countries. Yet thus saith the Lord GOD; At the end of forty years will I gather the Egyptians from the people whither they were scattered: And I will bring again the captivity of Egypt, and will cause them to return into the land of Pathros, into the land of their habitation; and they shall be there a base kingdom. It shall be the basest of the kingdoms; neither shall it exalt itself any more above the nations: for I will diminish them, that they shall no more rule over the nations. Egypt will be a weak kingdom, and will never control "the nations"
There are two main apologist responses to this failed prophecy. However, Gill provides no textual evidence for this. Again, the false prophecies are suddenly considered "symbolic". Ezekiel 29:8-12 was penned by Ezekiel “in the tenth year,” which is the tenth year after Ezekiel was taken into captivity-in other words 587 BC. Within a year of Ezekiel recording this prophecy Egypt abandoned Judah, allowing Nebuchadnezzar to destroy Jerusalem. That's great, but Judah is not Egypt. God specifically states that Egypt proper will be destroyed, not its colonies. Egypt remained independent for another two generations, but after Cyrus destroyed Babylon in 539 BC, his son Cambysses invaded Egypt in 522 BC, bringing devastation throughout Egypt. Herodotus (Herodotus 3:7-33) describes in detail the destruction of Egypt, the capture of Pharaoh Psammenitus and the devastation of Egypt, as prophesied by God through Ezekiel. Cambysses took Memphis and Sais, even killing the apis bull, shaming the Egyptians. First, on Egypt being conquered: Ezekiel quite clearly states that Egypt will be totally empty of every human and beast for 40 years. Egypt was conquered and lost power; neither is the same as completely uninhabited. Second, on the other parts of the checklist: God specifically states that everything from "tower of Syene to Ethiopia will be desolate and waste". Did Cambysses remember to depopulate everything south of Egypt, too? God states that he will own the Nile. Did the Jews control the Nile? God says that Egyptians will have a massive diaspora, just like the Jews. When did this happen? And when did the massive repopulation of Egypt happen? Later, the Egyptians did regain their independence, but they were never again the world power they had been for more than two thousand years before this prophecy. This fulfills Ezekiel 29:14f "I will bring them back from captivity.... There they will be a lowly kingdom. It will be the lowliest of kingdoms and will never again exalt itself above the other nations." Is Egypt the "lowliest" of kingdoms? Because Egypt sure looks to be more powerful than, say, Sealand or Micronesia — or even, for that matter, many of its neighbors, like Libya, Sudan, Jordan, and Syria. It was a driving force behind the Arab nationalist movement in the mid-late 20th century, and it is still a potent military, economic, and cultural power in the Middle East and North Africa. And it shall be no more the confidence of the house of Israel, which bringeth their iniquity to remembrance, when they shall look after them: but they shall know that I am the Lord GOD. And it came to pass in the seven and twentieth year, in the first month, in the first day of the month, the word of the LORD came unto me, saying, Son of man, Nebuchadrezzar king of Babylon caused his army to serve a great service against Tyrus: every head was made bald, and every shoulder was peeled: yet had he no wages, nor his army, for Tyrus, for the service that he had served against it: Therefore thus saith the Lord GOD; Behold, I will give the land of Egypt unto Nebuchadrezzar king of Babylon; and he shall take her multitude, and take her spoil, and take her prey; and it shall be the wages for his army. I have given him the land of Egypt for his labour wherewith he served against it, because they wrought for me, saith the Lord GOD. It is not known whether Nebuchadnezzar actually campaigned in Egypt; however, it is certain that he did not actually conquer the land of Egypt proper. I will dry up the streams of the Nile and sell the land to evil men; by the hand of foreigners I will lay waste the land and everything in it. I the LORD have spoken. There is no evidence that this has happened in recorded history. Egypt depended on her rivers for farming, paper reeds, and commerce. The drying up of the rivers means that these things would stop. It would be as if the rivers had dried up. That's great. So, when God says, "I will do X", he's really just spouting metaphors. Lovely. Ezekiel 30:12 does not say that the Nile will dry up, but in fact it says “I will dry up the streams of the Nile.” Therefore, some of the tributaries will dry up. First, let's say that the "the streams" refers to the tributaries of the Nile. If the Nile's tributaries dried up, it should (almost completely) also dry up, given that very little water is going into it. This doesn't solve the apologist's problem, but just shifts it a few thousand miles downstream. In Isaiah 7:1-7, God tells the king of Judah that he shall not be harmed by his enemies. And it came to pass in the days of Ahaz the son of Jotham, the son of Uzziah, king of Judah, that Rezin the king of Syria, and Pekah the son of Remaliah, king of Israel, went up toward Jerusalem to war against it, but could not prevail against it. And it was told the house of David, saying, Syria is confederate with Ephraim. And his heart was moved, and the heart of his people, as the trees of the wood are moved with the wind. Then said the LORD unto Isaiah, Go forth now to meet Ahaz, thou, and Shearjashub thy son, at the end of the conduit of the upper pool in the highway of the fuller's field; And say unto him, Take heed, and be quiet; fear not, neither be fainthearted for the two tails of these smoking firebrands, for the fierce anger of Rezin with Syria, and of the son of Remaliah. Because Syria, Ephraim, and the son of Remaliah, have taken evil counsel against thee, saying, Let us go up against Judah, and vex it, and let us make a breach therein for us, and set a king in the midst of it, even the son of Tabeal: Thus saith the Lord GOD, It shall not stand, neither shall it come to pass. Wherefore the LORD his God delivered him into the hand of the king of Syria; and they smote him, and carried away a great multitude of them captives, and brought them to Damascus. And he was also delivered into the hand of the king of Israel, who smote him with a great slaughter. For Pekah the son of Remaliah slew in Judah an hundred and twenty thousand in one day, which were all valiant men; because they had forsaken the LORD God of their fathers. The burden of Egypt. Behold, the LORD rideth upon a swift cloud, and shall come into Egypt: and the idols of Egypt shall be moved at his presence, and the heart of Egypt shall melt in the midst of it. And I will set the Egyptians against the Egyptians: and they shall fight every one against his brother, and every one against his neighbour; city against city, and kingdom against kingdom. And the spirit of Egypt shall fail in the midst thereof; and I will destroy the counsel thereof: and they shall seek to the idols, and to the charmers, and to them that have familiar spirits, and to the wizards. And the Egyptians will I give over into the hand of a cruel lord; and a fierce king shall rule over them, saith the Lord, the LORD of hosts. And the waters shall fail from the sea, and the river shall be wasted and dried up. And they shall turn the rivers far away; and the brooks of defence shall be emptied and dried up: the reeds and flags shall wither. The paper reeds by the brooks, by the mouth of the brooks, and every thing sown by the brooks, shall wither, be driven away, and be no more. The fishermen will groan and lament, all who cast hooks into the Nile; those who throw nets on the water will pine away. This is an interesting prophecy because Isaiah outlines a very clear timeframe; the alleged prophet is unmistakably referring to Pagan Egypt, which ceased to exist in the 4th Century. (Isaiah 19:1-3) Since then, Egyptians have stopped using charms, wizards, and there are no statue-worshipping idolaters anymore (Isaiah 19:3), so the reader can conclude this isn't an end times prophecy, unless one assumes they will resume doing these things. The prophet blatantly identifies the dried-up river (Isaiah 19:5) with the Nile (Isaiah 19:8). And he goes even further to say one of the seas Egypt borders will drain, and this appears to coincide with the Nile River drying up. There is absolutely no hint of this prophecy being interpreted symbolically or metaphorically. Isaiah actually goes out of his way to stress the literal, physical, carnal fulfillment of this prophecy. Isaiah 19:1-8 is another prophecy of the devastation of Egypt by Cambysses and the Persians. “I will hand the Egyptians over to the power of a cruel master and a fierce king will rule over them.” (Isaiah 19:4) Yep. And part of that devastation is the Nile drying up. And the waters shall fail from the sea, and the river shall be wasted and dried up. And they shall turn the rivers far away; and the brooks of defence shall be emptied and dried up: the reeds and flags shall wither. The paper reeds by the brooks, by the mouth of the brooks, and every thing sown by the brooks, shall wither, be driven away, and be no more. The fishermen will groan and lament, all who cast hooks into the Nile; those who throw nets on the water will pine away. For Isaiah to be true: (1) The sea must dry. Didn't happen. (2) It does literally say the river will be dried up; were you reading? 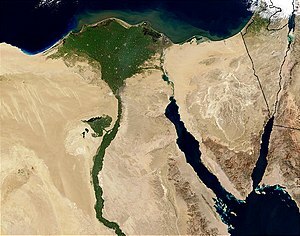 (3) The rivers should shift course away from Egypt. Didn't happen. 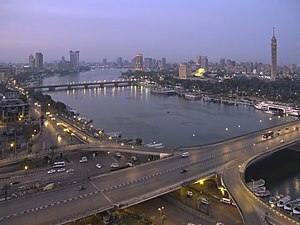 (4) Every single plant on every part of the Nile should die because of the river drying up. Didn't happen. (5) Fishermen can't get any fish. Didn't happen. Isaiah 19:18 In that day shall five cities in the land of Egypt speak the language of Canaan, and swear to the LORD of hosts; one shall be called, The city of destruction. Not only has the Canaanite language never been spoken by Egyptians, but it is now an extinct language. There is the very unlikely possibility Isaiah was referring to Hebrew, which is technically a Canaanite language. However, Hebrew was also never adopted by the Egyptians. And according to the context of this passage, Isaiah is specifically referring to Pagan Egypt, which ceased to exist in the 4th century (see above). So even if Egyptians started speaking Hebrew at this very moment, it would still be an inaccurate prediction, unless again they begin doing these things (highly unlikely). Also, it's worth noting that Isaiah believes the Egyptians will convert to Mosaic Judaism and start offering sacrifices to the LORD shortly after this incident (Isaiah 19:21)—a practice no longer done by Jews since the Temple was destroyed and priesthood lost. The Canaanite language is not the language of the people of Canaan before Israel was founded, but the Hebrew language. And it has to be understood in the spiritual sense as the language of the Bible. Many in these cities will speak a new language, not the language of sin, but a godly language. Not the language of “I want”, but “Lord, what willest thou me to do. TLDR: It's another "symbolic" passage. Egyptians never spoke Canaanite ever..... True to a point, but Isaiah 19:8 does not say that all of Egypt will be speaking a Semitic language, but it does say that five cities in Egypt will speak one of the languages of Canaan. This is true. And it shall be for a sign and for a witness unto the LORD of hosts in the land of Egypt: for they shall cry unto the LORD because of the oppressors, and he shall send them a saviour, and a great one, and he shall deliver them. And the LORD shall be known to Egypt, and the Egyptians shall know the LORD in that day, and shall do sacrifice and oblation; yea, they shall vow a vow unto the LORD, and perform it. God is clearly trying to say that Egypt will become Jewish (at least temporarily), not that Jews will go into Egypt. Hereby ye shall know that the living God is among you, and that he will without fail drive out from before you the Canaanites, and the Hittites, and the Hivites, and the Perizzites, and the Girgashites, and the Amorites, and the Jebusites. As for the Jebusites the inhabitants of Jerusalem, the children of Judah could not drive them out; but the Jebusites dwell with the children of Judah at Jerusalem unto this day. And all the people that were left of the Amorites, Hittites, Perizzites, Hivites, and Jebusites, which were not of the children of Israel, Their children that were left after them in the land, whom the children of Israel also were not able utterly to destroy, upon those did Solomon levy a tribute of bondservice unto this day. But thou shalt utterly destroy them; namely, the Hittites, and the Amorites, the Canaanites, and the Perizzites, the Hivites, and the Jebusites; as the LORD thy God hath commanded thee. And ye shall serve the LORD your God, and he shall bless thy bread, and thy water; and I will take sickness away from the midst of thee. There shall nothing cast their young, nor be barren, in thy land: the number of thy days I will fulfil. I will send my terror ahead of you and throw into confusion every nation you encounter. I will make all your enemies turn their backs and run. And I will send hornets before thee, which shall drive out the Hivite, the Canaanite, and the Hittite, from before thee. I will not drive them out from before thee in one year; lest the land become desolate, and the beast of the field multiply against thee. By little and little I will drive them out from before thee, until thou be increased, and inherit the land. And I will set thy bounds from the Red sea even unto the sea of the Philistines [Mediterranean Sea], and from the desert unto the river [the Euphrates river]: for I will deliver the inhabitants of the land into your hand; and thou shalt drive them out before thee. 1: It's almost certain that Israelites don't have 100% food, water, and health security. The fact that Israelites had infertility is documented by the Bible: Elizabeth and Zacharias, the mother and father of John the Baptist, were both "advanced in age" and thus unable to make a kid. 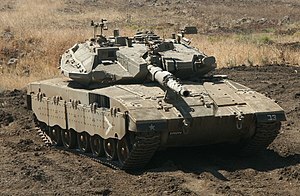 2: Eventually, Israel did take control of the land. If, however, the Hittites in Exodus are the same as the historical Hittites, then YHWH didn't drive them slowly from the Levant - instead the Hittite Empire rather suddenly disappeared in the Bronze Age collapse. 3: Israel's borders have rarely reached the Red Sea, and have never reached the Euphrates, which passes through Syria. In the Bible, God allegedly made promises to Abraham to deliver him land then under the control of other tribes. For example, upon Abraham entering Canaan, Genesis 12:7 states, in part, "The LORD appeared to Abram and said, 'To your offspring I will give this land.'" (NIV) This promise was reiterated in slightly different ways throughout the books of Genesis and Exodus. Similarly, in Exodus 23:31 God promises to give the Israelites all the land from the Mediterranean to the Red Sea and from the Euphrates River to "the desert." Historically this never happened. A consistent aspect of history is that Israel has never gotten along with its neighbors. (Or, if you prefer, that its neighbors have never gotten along with it.) There's still hope that Israel and the neighbourhood will be peaceful one day, but it requires everyone in the region to stop "inflicting punishment" on each other. He is the one who will build a house for my Name, and I will establish the throne of his kingdom forever. I will be his father, and he will be my son. When he does wrong, I will punish him with the rod of men, with floggings inflicted by men. But my love will never be taken away from him, as I took it away from Saul, whom I removed from before you. Your house and your kingdom will endure forever before me; your throne will be established forever. But I will not take the whole kingdom out of Solomon's hand; I have made him ruler all the days of his life for the sake of David my servant, whom I chose and who observed my commands and statutes. I will take the kingdom from his son's hands and give you ten tribes. I will give one tribe to his son so that David my servant may always have a lamp before me in Jerusalem, the city where I chose to put my Name. Brothers, I can tell you confidently that the patriarch David died and was buried, and his tomb is here to this day. But he was a prophet and knew that God had promised him on oath that he would place one of his descendants on his throne. Seeing what was ahead, he spoke of the resurrection of the Christ, that he was not abandoned to the grave, nor did his body see decay. This leaves unexplained the near 600-year gap between Zedekiah and Jesus. Further, there is the question of the Davidic line after Jesus, as he apparently died ascended childless. Note: Mark 6:3 and Matthew 13:55 as evidence for Jesus' siblings. Note: A precedent is previously set for biblical linage being a mantel rather then genetic linage due to Gen. 24 and 27, Jacob's theft of Esau's blessing and the selling of the birthright. When your days are over and you rest with your fathers, I will raise up your offspring to succeed you, who will come from your own body, and I will establish his kingdom. However, if the virgin birth doctrine be valid then Jesus is not actually the son of Joseph, making virgin birth seem incompatible with Jesus' descendancy from David. While the Pharisees were gathered together, Jesus asked them, "What do you think about the Christ? Whose son is he?" "The son of David," they replied. He said to them, "How is it then that David, speaking by the Spirit, calls him 'Lord'? For he says, 'The Lord said to my Lord: "Sit at my right hand until I put your enemies under your feet." ' If then David calls him 'Lord,' how can he be his son?" And this man shall be the peace, when the Assyrian shall come into our land: and when he shall tread in our palaces, then shall we raise against him seven shepherds, and eight principal men. And they shall waste the land of Assyria with the sword, and the land of Nimrod in the entrances thereof: thus shall he deliver us from the Assyrian, when he cometh into our land, and when he treadeth within our borders. And there shall come forth a rod out of the stem of Jesse, and a Branch shall grow out of his roots: [....] And in that day there shall be a root of Jesse, which shall stand for an ensign of the people; to it shall the Gentiles seek: and his rest shall be glorious. And it shall come to pass in that day, that the Lord shall set his hand again the second time to recover the remnant of his people, which shall be left, from Assyria, and from Egypt, and from Pathros, and from Cush, and from Elam, and from Shinar, and from Hamath, and from the islands of the sea. And he shall set up an ensign for the nations, and shall assemble the outcasts of Israel, and gather together the dispersed of Judah from the four corners of the earth. The envy also of Ephraim shall depart, and the adversaries of Judah shall be cut off: Ephraim shall not envy Judah, and Judah shall not vex Ephraim. But they shall fly upon the shoulders of the Philistines toward the west; they shall spoil them of the east together: they shall lay their hand upon Edom and Moab; and the children of Ammon shall obey them. And the LORD shall utterly destroy the tongue of the Egyptian sea; and with his mighty wind shall he shake his hand over the river, and shall smite it in the seven streams, and make men go over dryshod. And there shall be an highway for the remnant of his people, which shall be left, from Assyria; like as it was to Israel in the day that he came up out of the land of Egypt. Did Jesus gather together the entire people of Israel? Did he ally with Ephraim and conquer Edom and Moab and Ammon? Did he destroy the tongue of the Egyptian sea? Nope. When your (ie David’s) days are over and you rest with your fathers, I will raise up your offspring to succeed you, who will come from your own body, and I will establish his kingdom. This prophecy was fulfilled when Solomon took the throne. His descendants ruled Judah for more than four hundred years. The passage does say later that David’s kingdom would be established forever. This prophecy was fulfilled in the life and ministry of Jesus who is a king forever. The Bible is explicit about having David's descendants control the throne, forever. Jesus can't and doesn't "spiritually" control the physical affairs of the state of Israel. Even if he did, he came a few centuries after the Davidic line got severed. 2 Samuel 7:12-16 is explicit that the son of David, who would be one of David's biological offspring, would establish his unending kingdom. 400 years, while decent, falls short of unending -- Solomon cannot fulfill the prophecy. Jesus was a descendant of David, both through [h]is mother (Matthew 1:1f) and through his adopted father (Luke 3:23f). Jesus' father is irrelevant, because the son of David Biblically must be David's biological son -- adoption doesn't count. The author is pushing three separate "fulfillments" -- Solomon as biological successor, Jesus as nonbiological but "spiritual" successor, and Jesus as biological successor. None can be true at the same time. Prediction is writing about something that will occur in the future. Postdiction is writing about something that has already happened, also known as "history". It is easy to predict what has already happened. This claim is ridiculous, on two grounds. I will go before you and will level the mountains; I will break down gates of bronze and cut through bars of iron. Furthermore, Babylon is not actually mentioned anywhere in the chapter. Second, in reality, this section of Isaiah was likely written approximately 537 BCE. Even if the "prediction" was not made after the event, its occurrence was hardly impossible to foresee and the name of Cyrus would have been well known. Imagine someone in the future who digs up a document from late 2002 which "prophesies" the Iraq War and the defeat and death of Saddam Hussein - how impressed should our future reader be of the author's oracular powers? Isaiah 45:1 does not even mention Babylon as being the nation that Cyrus the Great will conquer..... What is the point? Isaiah prophesied, more than two hundred years before the events, that a man named Cyrus would conquer great nations and would send Israel back to their homeland to reoccupy the Promised Land. This is an astounding prophecy, which was fulfilled by Cyrus in 538 BC when conquered Babylon and allowed the Jews to go back to Jerusalem to rebuild the temple and occupy their land. Here Oakes ignores the well established scholarship that Isaiah is not a single document composed "more than two hundred years before the events" (incl. by Christians who don't subscribe to biblical inerrancy), but a composite of at least three different authors writing at different times. It's hard to "astoundingly" predict the future when the events you predict are actually in the past. This decree of Cyrus is found in Ezra 1:1-4, and is consistent with the Cyrus cylinder , which is found in the British Museum. Astounding! A book written at the time agrees with another document written at the time. How else could this have happened but God? Isaiah 44:24-45:7 is a truly amazing prophecy of the future whose fulfillment is a matter of historical record. What is the point these people [he's referring to RationalWiki] are making? Isaiah did not list the nations Cyrus would conquer. So what? The list of nations conquered are Lydia, Babylon and Egypt, and Cyrus did precisely what Isaiah prophesied. Given that this isn't our criticism of Isaiah, it's hard to defend said claims. By the way, also note Isaiah 45:13 which adds that Cyrus would set the exiles free, but not for a price. Exactly! Cyrus did release the Jews without a price; again, this isn't hard to predict after you've just been set free. “”I would submit to you that it is a part of our standard hermaneutic that the new covenant scriptures define how the old covenant scriptures are fulfilled in them. This came up in cross-examination, let me give you an example. Sometime next year, Lord willing, I will be debating one of the leading Islamic apologists in the English-speaking world, and one of the topics that we are going to be debating is whether Mohammad is prophesied in the Bible. And interestingly enough, this man said, 'I'll debate you on that, however, first, you must debate me on whether Jesus is prophesied in the Old Testament. Now isn't that interesting? Now, I have a feeling that Brother Shisko [his debate opponent] and I would make almost identical presentations concerning the Messianic prophesies. But we would do so by allowing the new covenant scriptures to fulfill--to determine how the old covenant scriptures are fulfilled. Have you ever noticed how you can go to many of the Messianic Psalms, and there are sections of those Messianic Psalms that were not fulfilled in the life of Christ? They had to do with David. And so if we go from--if we go backwards, if we go from the Psalm and say 'this is how it must be fulfilled,' we would have a hard time even proving the Messiahship of Jesus. This section is for alleged prophecies alluded to that were never made or that were not intended to be prophetic. Matthew alleges that Jesus' birth fulfilled a prophecy by being born to a virgin. This is (1) very, very unlikely and (2) not actually prophesied. Matthew alleges that Jesus being born in Bethlehem fulfills a prophecy. In Matthew 2:4-6 (NIV) King Herod is concerned about the birth of the "King of the Jews." When he had called together all the people's chief priests and teachers of the law, he asked them where the Christ was to be born. "In Bethlehem in Judea," they replied, "for this is what the prophet has written: 'But you, Bethlehem, in the land of Judah, are by no means least among the rulers of Judah; for out of you will come a ruler who will be the shepherd of my people Israel.'" But you, Bethlehem Ephrathah, though you are small among the clans of Judah, out of you will come for me one who will be ruler over Israel, whose origins are from of old, from ancient times. Several translations make it clear that Micah was referring to a clan named Bethlehem Ephrathah, not a city. But you Bethlehem Ephrathah, though you are little among the thousands of Judah, yet out of you shall come forth to Me the One to be Ruler in Israel, Whose goings forth are from of old, from everlasting. This translation is particularly troubling for Matthew. There are not thousands of towns in Israel, much less the subsection of Judah, today. It makes more sense that thousands refers to the people of Judah, rather than the towns of Judah. These [are] the sons of Israel; Reuben, Simeon, Levi, and Judah, Issachar, and Zebulun, [....] These were the sons of Caleb the son of Hur, the firstborn of Ephratah; Shobal the father of Kirjathjearim, Salma the father of Bethlehem, Hareph the father of Bethgader." And thou, Bethlehem, house of Ephrathah, art few in number to be reckoned among the thousands of Judah: yet out of thee shall one come forth to me, to be a ruler of Israel. The word house was often used in Hebrew to signify a family or a clan as in "the house of Judah" or "the house of David." It was never used in the sense of "land" as Matthew applied it here. Thus, the "Bethlehem" spoken of in Micah 5:2 was the "Bethlehem [of the house of] Ephratah" spoken of in Chronicles above. And they [the person from Bethlehem Ephrathah] shall waste the land of Assyria with the sword, and the land of Nimrod in the entrances thereof: thus shall he deliver us from the Assyrian, when he cometh into our land, and when he treadeth within our borders. Micah stated this in the context of the "many nations [that] have gathered against you [Judah]" (4:11), especially the Assyrians. It makes sense to assume that Micah, rather than predicting a distant Messiah, was promoting a leader to help Judah against the contemporary Assyrian threat. There is serious doubt that Micah intended his statement to be a Messianic prophecy. Finally, there is no evidence outside of Matthew and Luke that Jesus was actually born in Bethlehem. To trust Matthew and Luke on Jesus' prophetic fulfillment is circular, since the point of prophecy is to prove that the Bible is trustworthy. There are no historical documents supporting a Jesus born in Bethlehem. Besides, even Matthew and Luke do not agree on the details. Luke has Joseph and Mary in Bethlehem from Nazareth for the dubious reason of partaking in a census in 6 CE, while Matthew has them starting in Bethlehem and escaping to Nazareth by way of Egypt at least ten years earlier. On the other hand, John does not mention Bethlehem at all, and insists Jesus is from Nazareth in Galilee (John 1:45, 7:41, 7:45). Bethlehem Ephrathah was a town in the time of David, it was a town during the time of Micah and it was a town during the time of Jesus. It was never a clan. This appears to go against authoritative translations of Micah. What Micah is saying is that the clan of Judah which lived in Bethlehem was a small clan. What is the point here? Is this supposed to disprove that Micah prophesied the birth of the Messiah in Bethlehem? While possible, Oakes provides no evidence to suggest his view (Bethlehem is a town with a clan inside) over the simpler view (Bethlehem is a clan). The Jews were very well aware of this prophecy and they never interpreted it how RationalWiki falsely interprets this! We know that the Jews interpreted this to imply that the Messiah would come from the town of Bethlehem. I am content to let the Jews interpret their own scripture rather than RationalWiki critics. Unfortunately, Oakes provides no evidence that Jews interpreted this verse as he suggests. Matt. 2:23 And [Mary, Joseph, and Jesus] came and dwelt in a city called Nazareth; that it might be fulfilled which was spoken through the prophets, that he should be called a Nazarene. Unlike most of the other "prophecies" in this category, we can't even tell which Old Testament passage, if any, Matthew is twisting to fit the story; no OT prophecy seems relevant. It's almost as if he's just flat-out declaring that this was prophecied and hoping no one calls his bluff. Of course, even this one isn't too big a stone for apologists to swallow. As web page dedicated to this particular problem puts it: "First, it is necessary to point out that a genuine textual problem only exists if one has exhausted every possibility of interpretation, and there simply is no reasonable explanation that resolves the difficulty." The most popular Christian explanation is that "Nazarene" is a figurative expression for anyone who is despised or rejected, as Jesus is at various points in the New Testament and the Messiah at various points in the old. Not only is that a heck of a cop-out, but if it's Matthew's intention, then it makes little sense for him to say that Jesus moving to a literal Nazareth is a fulfillment of the "figurative Nazarene" prophecy. A likelier possibility, and one which makes the author of Matthew look less dishonest and/or stupid, is that "the prophets" doesn't mean the Old Testament authors, but some other person or group of people, or an oral tradition. Of course, in that instance the case for a "fulfilled prophecy" is left empty-handed (and it's a catch-all excuse for similar failures). One potential concept for the misaligned statement was referring to various prophesies that Jesus would be a Branch of David, Jeremiah 33:15 "In those days and at that time, I will raise up a righteous branch from David’s line, who will do what is just and right in the land." The Hebrew term for branch is ne·tser and the Book of Numbers, chapter 6, denotes becoming a Nazirite to consecrate yourself to God. This is supported by the note that no pre-Christian texts denote a town of Nazareth at all, and the etymology in the name originates from that Hebrew word ne·tser. And was there until the death of Herod: that it might be fulfilled which was spoken of the Lord by the prophet, saying, Out of Egypt have I called my son. When Israel was a child, I loved him, and out of Egypt I called my son. Note that the quote as it appears in Matthew is incomplete. The first part, the reference to Israel, is missing. In fact, the passage in Hosea is not a prophecy of Jesus leaving Egypt but rather a reference to the exodus of the Israelites. In defense of the claim that Matthew gave an incomplete quote to hide the fact that Hosea was not intended as a prophecy, biblical inerrancy site AboutBibleProphecy.com notes, "Matthew wasn't trying to hide anything, he was trying to show that the life of Jesus had many parallels with the history of the Jewish people." It should be noted, however, that per Matthew's own words he in fact intended to show that the words of "the prophet" were "fulfilled" and not to show a parallel. It should also be noted that among the gospel accounts the journey of Jesus to Egypt is unique in Matthew. As they called them, so they went from them: they sacrificed unto Baalim, and burned incense to graven images. I taught Ephraim also to go, taking them by their arms; but they knew not that I healed them. I drew them with cords of a man, with bands of love: and I was to them as they that take off the yoke on their jaws, and I laid meat unto them. He shall not return into the land of Egypt, and the Assyrian shall be his king, because they refused to return. And again another scripture saith, They shall look on him whom they pierced. The verse in John is an inaccurate quote, leaving out the word "me." This is problematic for assuming the verse refers to Jesus: The "me" is the one who is pierced, while the "him" is the one who is mourned for. Jesus cannot be both and fulfill the prophecy. Furthermore, the context of Zechariah 12 is of an invading army, not a Messianic prophecy of Jesus. The Fourth Servant Song, Isaiah 52:13-53:12, is frequently referred to in the New Testament as being the source of prophecies allegedly fulfilled therein. Although many Christian scholars maintain the author had foreshadowed Jesus' crucifixion, other (especially Jewish) scholars maintain that he had meant instead to refer to the mistreatment of the nation of Israel. For two thousand three hundred evenings and mornings; then the sanctuary shall be restored to its rightful state. William Miller, a Baptist preacher, predicted and preached the imminent return of Jesus Christ to the earth. He first assumed that the cleansing of the sanctuary represented purification of the Earth by fire at Christ's Second Coming. Then, using an interpretive principle known as the "day-year principle", Miller, along with others, interpreted a prophetic day to read not as a 24-hour period, but rather as a calendar year. Miller stated: "My principles in brief, are, that Jesus Christ will come again to this earth, cleanse, purify, and take possession of the same, with all the saints, sometime between March 21, 1843 and March 21, 1844." Nothing happened, aside from a lot of confused Christians suddenly noticing Matthew 24:36 and starting up Seventh-day Adventism. Miller was simply mistaken in this false interpretation. The fact that Miller gave a false interpretation of Daniel 8 says nothing about the reliability of the Bible. [....] This prophecy has nothing to do with the return of Jesus, despite William Miller’s incorrect interpretation. The fact that William Miller had a grossly incorrect interpretation of this passage does nothing to change the fact that this is an amazing prophecy which was fulfilled more than two thousand years ago. Miller was a false teacher, but the Bible is inspired by God as proved, in part, by Daniel 8:9-14. The fact that a Bible which is purportedly literally true could be so wrongly misinterpreted does give one caution. Maybe Daniel could have, say, explained his prophecy rather than making vague predictions? Still, Oakes makes a valid point that this was a problem in interpreting the Bible. It points to the thought that reading meaning into the Bible might just be a wrongheaded idea. Here he [Micah] successfully predicted the rededication of the Temple, but got the date wrong. Now the Temple was desecrated on 15 Chislev in the year 145 of the Seleucid Era (1 Maccabees 1:54), or 6 December 167 BC, and the Jewish rebels rededicated it to Jewish worship on 25 Chislev in the year 148 of the Seleucid Era (1 Maccabees 4:52), or 14 December 164 BC [or 1087 days later]. In chapter 8, our author predicted that the Temple would miss 2,300 evening and morning continual burnt offerings between its desecration and its rededication (Daniel 8:11-14). This amounts to 1,150 days, or three years plus 55 days. In the Julian calendar, the rededication should have taken place on 30 January 163 BC, almost two months too late to fit actual history. A prophecy should be obvious as predicting an event before the occurrence of the event. If the prophecy is not obvious as having predicted the event even after the occurrence of the event, then it suffers from vagueness. Daniel explains that the gold head of the statue apparently represents the Babylonian Empire and the remaining parts represent kingdoms that would follow. The proper name for the Medo-Persian Empire is the Achaemenid Empire which formed when Persia conquered Media and other nations. With this understanding it becomes unclear why the chest and arms should suggest this empire more than any other. Daniel describes this second kingdom as being "inferior" to the first in Daniel 2:39. It is not stated why this contextual observation or that this part of the statue is made of silver should suggest the Achaemenid Empire. The website claims the brass belly and thighs predict the Grecian Empire, which conquered the Medo-Persian Empire. They offer as evidence the observation that the empire started out united under Alexander the Great but was divided up after his death. The proper name for the Grecian Empire is Macedonia , a kingdom existing well before Persia defeated Babylon, and one which the Greeks of the various Greek city states considered at best as semi-Greek or half barbarous. Macedonia grew to briefly take over territories previously controlled by the Persian Empire under Alexander the Great before fracturing as Alexander's generals established their own successor states in various parts of the former empire. Ultimately, these states were absorbed by the Roman Empire, although their society and culture remained largely unchanged until well after the birth of Christianity. With this understanding it becomes unclear why the concepts of unification and division should suggest Macedonia more than any other empire that has risen and fallen or why the observation that this part of the statue is made of bronze should suggest this empire. In verse 39 Daniel predicts this third kingdom "will rule over the whole earth." The website claims the iron legs and feet partly of iron and partly clay predict the Roman Empire, which conquered the Grecian Empire. No evidence is presented to support this claim. Dispensationalists claim the seventy weeks prophecy in Daniel 9:24-27 predicts the crucifixion of Jesus and the Antichrist, in which the Antichrist will enter a third temple and commit a blasphemous act. This is false. According to Daniel 12, the Day of Judgement was supposed to happen 3 and a half years after Antiochus' persecution of the Jews in the 2nd Century BC. This would make Daniel a false prophet but most Christians still insist that it's describing a future Great Tribulation. Instead of predicting Jesus, most contemporary scholars think The Messiah in verse 26 (In Hebrew Translations, Messiah is translated as Prince) is Onias the third, a pious religious leader who opposed the Hellenization of the Jews and was murdered. Jews considered religious leaders and rabbis to be "annointed ones". The coming prince that will destroy Jerusalem and commit the Abomination of Desolation is describing Antiochus Epiphanes' reign of terror against the Jews during the Maccabean Revolt, not the Antichrist. Historical data shows that Antiochus committed the "abomination that causes desolation" when he sacrificed a pig to a statue of Zeus in the 2nd temple and forced the Jews to end their daily sacrifices. This occurred 3 and a half years after he established a covenant with the Jewish people and subsequently annulled it. The Books of Maccabees describes Antiochus Epiphanes in greater detail and goes so far as to describe Antiochus in the same manner as the coming prince in the seventy weeks prophecy. The entire chapter of Daniel 11 is obviously describing Antiochus Epiphanes. Antiochus considered himself divine and God incarnate. All references to the Abomination of Desolation in the New Testament are basically rehashes of the Book of Daniel. Paul wrote an epistle around 50 AD that said the "man of lawlessness" would enter the second temple and declare himself divine. However, since the temple was destroyed in 70 AD and none of Paul's prediction came true as Paul said it would, Christians have reinterpreted the prophecy to mean that the Antichrist would enter a revived 3rd temple and declare himself divine. This proves that Paul was oblivious about the temple's imminent destruction and was probably a false prophet. ↑ See, generally, the introductory notes to the book of Jonah in the New Oxford Reference Bible. ↑ By contrast, this description of the fourth kingdom fits very well with Alexander the Great's conquests, followed by the fracturing of his empire into competing successor states. ↑ It's generally accepted, by scholars who place less store on divine inspiration and more on standard historical methodology, that the four kingdoms (or five, including the feet) are: the Neo-Babylonian Empire (golden head), the Median Empire (silver chest and arms), Achaemenid Persia (bronze belly and thighs), Alexander the Great's Macedonian Empire (iron legs), plus the Hellenistic successor states (iron and clay feet - specifically the Seleucid Empire and Ptolemaic Egypt). This is also due to these boring scholars spoiling all the prophetic fun by pointing to a far more likely composition date of the Book of Daniel being during the reign of the Seleucid king Antiochus IV Epiphanes (175–164 BCE), as opposed to its purported composition during the reign of the Neo-Babylonian Nebuchadnezzar II (around 605-562 BCE). The Book of Daniel is curiously erroneous when it comes to the details about its supposed time of composition during the Babylonian captivity. Then it becomes increasingly amazingly accurate until about the time of the successor states of Alexander the Great before it again goes off the rails. To historians, this suggests someone cobbling together a distant past from what little they knew and making educated, but often wrong, guesses about the future. ↑ 7.0 7.1 7.2 7.3 7.4 7.5 7.6 7.7 7.8 John Oakes (April 6, 2015). "Can you explain all the unfulfilled Old Testament prophecies listed at RationalWiki?". http://evidenceforchristianity.org/can-you-explain-all-the-unfulfilled-old-testament-prophecies-listed-at-rationalwiki/. ↑ AboutBibleProphecy.com, Did Matthew misinterpret Hosea 11:1? This page was last modified on 30 March 2019, at 03:40.